>Enhanced amino acid L-carnitine L-tartrate may facilitate post workout muscle recovery. Improving post workout recovery. Supplementing with L-carnitine L-tartrate may attenuate muscle damage and soreness. Maintaining muscle function. L-carnitine L-tartrate has been shown to increase levels of HDL. >L-tartrate is a salt (or ester) of tartaric acid that is often combined with other organic compounds in order to enhance their absorption. L-carnitine is an amino acid that is naturally produced by the human body. Despite its easy accessibility in animal-based foods and other high-protein nutrition, L-carnitine is frequently taken as a supplement to improve energy metabolism, burn fat, and even boost testosterone. Acetyl-L-carnitine is often favored over L-carnitine supplements due to considerably enhanced uptake, such as is the case with L-carnitine L-tartrate. Reducing purine and protein catabolism, as indicated by lower levels of hypoxanthine, xanthine oxidase, uric acid, myoglobin, fatty acid-binding protein, and creatine kinase post workout. Protecting against oxidative stress, specifically that caused by malondialdehyde. Attenuating muscle disruption by over 40%. carnitine L-tartrate was found to increase levels of high-density lipoprotein (HDL) — often referred to as “good” cholesterol and known to help maintain the function of skeletal muscles2 — as well as reduce levels of low-density lipoprotein (LDL), which has been associated with various health complications. itine L-tartrate may benefit post workout formulas by reducing muscle damage and soreness, according to multiple clinical studies. A distinct advantage of supplementing with LCLT is that, though it may not necessarily provide boosts in muscle growth, it does not appear to interfere with workout muscle protein synthesis either, the way many natural antioxidants do. L carnitine L tartrate has been shown to reduce muscle damage and soreness. Several clinical studies have reported the capacity of L-carnitine L-tartrate to assist post workout muscle recovery. An important caveat to note is that all of the research suggesting L-carnitine L-tartrate supplementation improves muscle recovery were financially backed by supplement manufacturing companies. In this placebo-controlled investigation, 10 trained men took either a placebo or 2 g of l-carnitine l-tartrate (LCLT) for 3 weeks while on a regular squat protocol. Exercise-induced markers of muscle breakdown and oxidation, including hypoxanthine, myoglobin, and malondialdehyde, were significantly attenuated in the LCLT group compared to the placebo. Overall muscle disruption was 41 – 45% less in the LCLT group compared to the placebo. In this placebo-controlled investigation, 10 men were given either a placebo or 2 g of l-carnitine l-tartrate for 3 weeks while on a resistance training regimen. LCLT was found to reduce the amount of exercise-induced damage to muscle tissue and significantly increase concentrations of the muscle growth factor insulin-like growth factor-binding protein-3 (IGFBP-3) compared to the placebo. In this randomized, double-blind, placebo-controlled investigation, 9 resistance-trained men who performed squat exercises were given either a placebo or 2 g of L-carnitine L-tartrate for 23 days. The LCLT group had reduced levels of the muscle damage marker malondealdehyde. In this single-blind, placebo-controlled investigation, 20 elite male wrestlers were given either a placebo or 3 g of L-carnitine L-tartrate dissolved in 200 mL of water while on an exercise program. LCLT was demonstrated a significant positive correlation with a rise in high-density lipoprotein (HDL) and a loss in low-density lipoprotein (LDL) after exhaustive aerobic activity. L-carnitine L-tartrate was found to increase levels of high-density lipoprotein (HDL) before and after exercise. 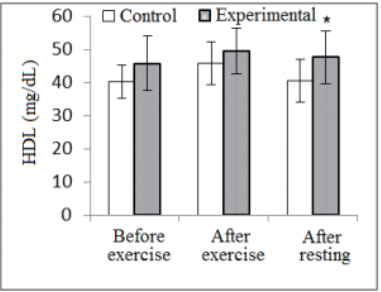 In this randomized, double-blind, placebo-controlled investigation, 12 adults performed 60 min of exercise on 3 separate days and were given either a placebo or L-carnitine L-tartrate. A significant increase in carbohydrate oxidation was noted in males who took LCLT compared to the placebo. No significant effect was reported in the female participants. In this randomized, placebo-controlled investigation, 10 trained men were administered either 2 g of L-carnitine L-tartrate or a placebo every day for 21 days while engaged in a regular resistance exercise (RE) protocol. LCLT was found to increase the number of active androgen receptors (AR), which bind to testosterone and dihydrotestosterone, compared to baseline and placebo. Testosterone concentrations were unchanged, but luteinizing hormone demonstrated significant changes after LCLT supplementation. – 3 g of L-carnitine L-tartrate daily. Typical supplements range from 300 – 500 mg of L-carnitine L-tartrate per day. Allmax and Evlution are 2 of the most popular brands. L-tartrate 2 g as part of a post-workout formula. L-carnitine L-tartrate may benefit muscle recovery. L-carnitine L-tartrate has been shown to improve muscle recovery, specifically by reducing muscle damage and soreness. Since more than enough is ingested in a standard meal, LCLT should really only be used as a supplement by those who do not consume or naturally produce sufficient quantities of carnitine. Try 2 g of L-carnitine L-tartrate. Most supplement reviews suggest starting with a 500 mg daily dose of L-carnitine L-tartrate, although up to 3 grams may be safe and effective according to clinical research. We recommend aiming for 2 g for optimal post workout recovery.